A Designer Fish Bowl - No, It's A Fish Hotel! Customarily, it's how you decorate the inside of a fish bowl or an aquarium that creates its 'design.' But in the case of the Fish Hotel by Umbra, the exterior design might just overshadow whatever you place inside. 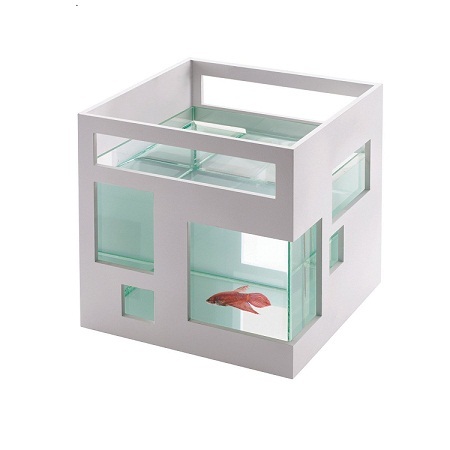 This really stunning Fish Hotel, made of sturdy ABS plastic, is about a 7.5 inch square and has a .9 gallon capacity. But don't despair if you need more room, the Fish Hotel has brackets for stacking. 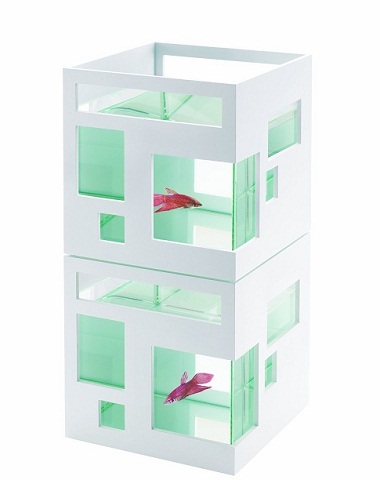 And at only $35 each, you could create a nice high-rise apartment for your fish without shelling out a whole lot. And you can paint them too! 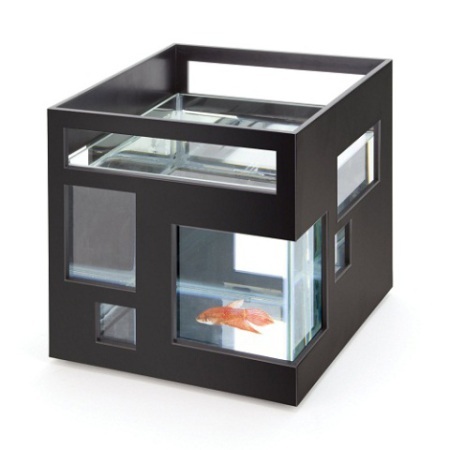 Don't worry, the Fish Hotel is easy to clean, as the real (square) fish bowl is inside and can be removed. Hmm. Can't wait to decorate all the rooms.